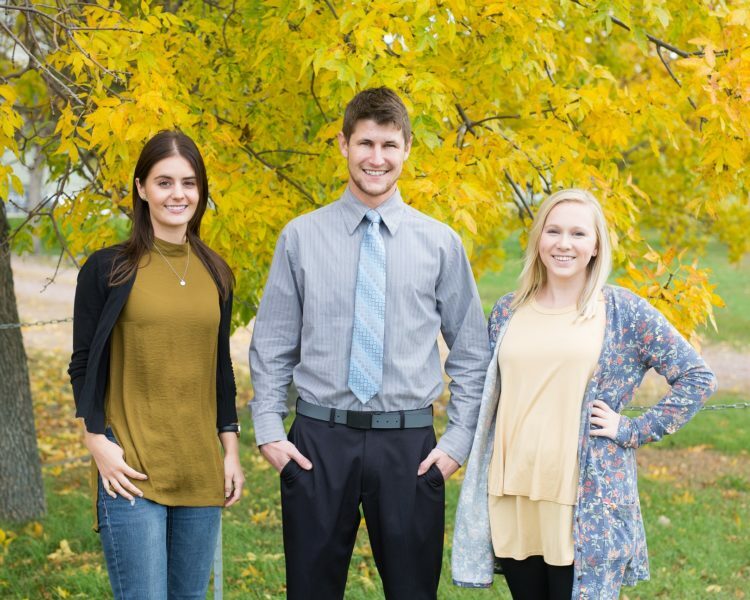 Linton, North Dakota – Aug. 30, 2017 – Plains Mobile Inc, creators of ezCinect™ OBI, today announced the promotion of three employees, Hannah Odegaard, Todd Nagel, and Kassy Brough. “These team members have taken on important leadership initiatives and have been a key part of our company’s success. As our company grows, these three leaders will continue to impact the direction of our company.” says Jon Richter, Plains Mobile Founder and CEO. Hannah Odegaard, originally from Tioga, ND, attended the University of Mary in Bismarck. She obtained a Bachelors in Computer Information Systems and Minors in Business Administration and Web Design. Thereafter, she spent her time with ITD as a service desk analyst focusing on government applications and customer service until she accepted an on-site position at Plains Mobile in May 2017 as a Programmer/Consultant. Ms. Odegaard brought experience of the technology world and customer care. With this, she has been promoted to the Vice President of Products where her primary role will be to create and maintain documentation on the product, ezCinect™ OBI. Todd Nagel grew up on an agriculture farm in a small North Dakota town called Strasburg. He graduated from the University of Mary with degrees in Marketing, Business Administration, and Sports and Leisure Management. After college, he found himself in the finance world where he worked as an account advocate with a focus on member services. Mr. Nagel also has a personal investment in land and equipment, and with having an entrepreneur spirit he enjoys bringing this approach to his career. Mr. Nagel accepted an on-site position at Plains Mobile in May 2017 as a Business Consultant. He strongly focused on application development, support, and overall business strategy and has shortly been promoted to Vice President of Services. His primary focus will be on the Partner Program and the current partnership with Sage Intacct. Kassy Brough comes all the way from Montana where she obtained her Bachelor’s in Business Administration, Associates in Business Science Technology, and Minors in Marketing: Tech Sales & Services and Small Business Management at the Montana State University of Northern. Her background focused on administrative work in the financial advising world for four years and later moved on to compliance specifically pertaining to continuing professional education for over two years. Later, she found herself in North Dakota working as the Senate Journal Reporter for the 65th North Dakota Legislative session. In May 2017, Ms. Brough accepted an on-site position at Plains Mobile as a Business Consultant. She concentrated on marketing, website development, and customer service with current customers. Presently, she has been promoted to Vice President of Marketing where her primary responsibility will be on marketing development and deployment. Plains Mobile is a provider of custom cloud-based business solutions through its Platform as a Service (PaaS), ezCinect™ OBI. They provide custom Software as a Service (SaaS) solutions, such as Advanced Project Management, CRM, and Time Entry. With ezCinect™ OBI, Plains Mobile and it’s partner channel can build custom cloud-based applications significantly faster than with traditional development tools. Plains Mobile customers can enjoy the benefits of tailor-made solutions at a cost less than typical packaged solutions. The PaaS also has the capabilities to integrate and migrate data from and to solutions. For more information, visit www.plainsmobile.com or call 1-888-627-1798.